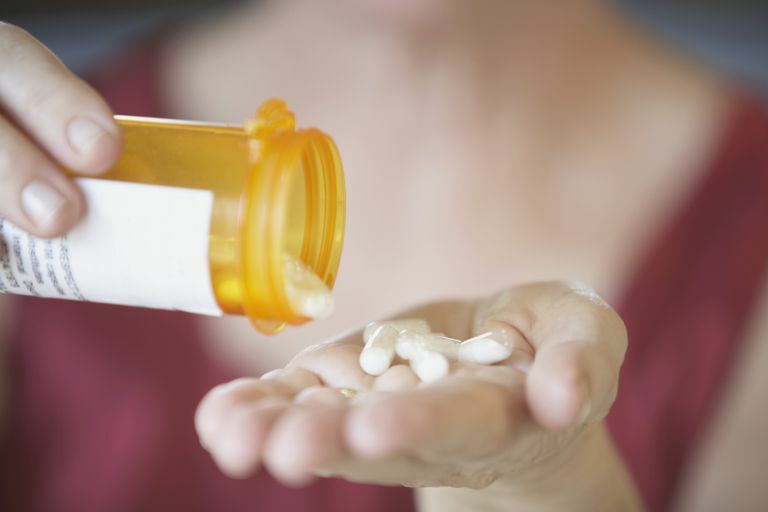 Naltrexone is a drug that, at a normal dose of 50 to 100 mg, blocks the effects of opioids. At very low doses, however, some researchers believe the drug may be beneficial to people with fibromyalgia and chronic fatigue syndrome; autoimmune/inflammatory diseases including multiple sclerosis, complex regional pain syndrome, and Crohn's disease; and other immune-related diseases, like HIV/AIDS. Low-dose naltrexone (LDN) is an inexpensive drug that's already on the market, which has fueled excitement about its possible uses. Research is moving slowly, though, likely because there's not a big financial incentive. Researchers don't yet understand the drug's exact mechanism of action. Some researchers theorize that LDN blocks certain receptors in the nervous system that cause symptoms of fibromyalgia and chronic fatigue syndrome. Some evidence suggests that LDN works as an anti-inflammatory in the central and peripheral nervous systems, possibly by limiting the activity of specialized cells called microglia. Research also suggests that LDN may help normalize the immune system, which may be why it appears to help people with autoimmunity and other immune-system illnesses. Results also indicate that the drug is well tolerated. However, these studies have all been small and more work needs to be done before we know how safe and effective LDN is for this condition. LDN is not FDA approved for fibromyalgia but is sometimes prescribed off-label. So far, LDN has not been studied for chronic fatigue syndrome. However, some doctors and patients say they've used it successfully. With recent evidence pointing to the possibility of neuroinflammation in chronic fatigue syndrome and LDN's possible impact on inflammation in the nervous system, we may be seeing why this is an effective treatment for some. As with fibromyalgia, LDN is sometimes prescribed off-label for chronic fatigue syndrome. For use in treating fibromyalgia or chronic fatigue syndrome, naltrexone is generally given in doses of 4.5 mg or less. Typically, you'll start at 1.5 mg, work up to 3 mg, then increase to 4.5. The effects attributed to this low dosage are not seen at higher doses. In the Stanford studies, side effects were reported as rare, mild, and transient. People with kidney or liver disease may need special tests or dosages to safely take LDN. This drug may be harmful to an unborn baby. We don't yet know whether it passes into breast milk. In large doses, naltrexone is used to wean people off of opiate (narcotic) painkillers such as Vicodin (hydrocodone-acetaminophen) and OxyContin (oxycodone) because it blocks their effect on the brain. Its effect on opiate use at low doses isn't known yet, but it's considered a bad idea to combine these drugs. Be sure to talk to your doctor about how long you should be off of opioids before starting LDN. If you're interested in trying LDN, talk to your doctor about the possible pros and cons. While some doctors do prescribe LDN for people with these illnesses and many others, it's still considered an emerging treatment, so your doctor may be unwilling to consider it. Ablin JN, Buskila D. Expert opinion on emerging drugs. 2010 Sep;15(3):521-33. Emerging therapies for fibromyalgia: an update. Younger J, Mackey S. Pain medicine. 2009 May-Jun;10(4):663-72. "Fibromyalgia Symptoms Are Reduced by Low-Dose Naltrexone: A Pilot Study." Younger J, et al. Arthritis and rheumatism. 2013 Feb;65(2):529-38. Low-dose naltrexone for the treatment of fibromyalgia: findings of a small, randomized, double-blind, placebo-controlled, counterbalanced, crossover trial assessing daily pain levels. Younger J, Parkitny L, McLain D. Clinical rheumatology. 2014 Apr;33(4):451-9. The use of low-dose naltrexone (LDN) as a novel anti-inflammatory treatment for chronic pain.